I am reading it and I am blessed. Your writings and expressions are beautiful. I have recommended your book to my church to be part of our resource center! Great book. I bought several copies for my staff! “Must Read” - 4 Stars! Good read for young people, too. “Like an Umbrella...” - 5 Stars! I believe that the author has really rightly divided the Word of truth in her book to explain the roles that both men and women play and why it is important for us to submit under a proper covering. Our spiritual protection (in the book) is likened to that of the natural protection of an umbrella, capable of shielding us from the elements of life. I was truly blessed by this book and hope to read it again and again. 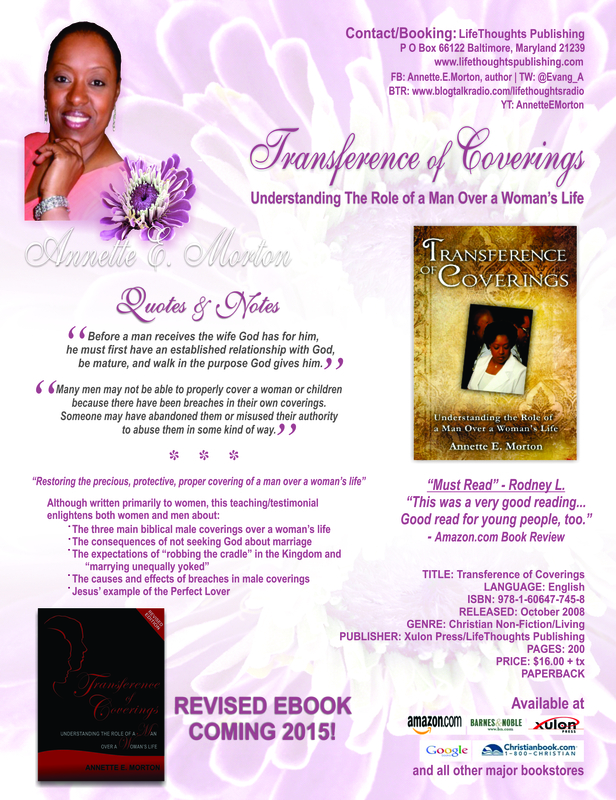 ...I believe that all women of God would benefit from the wisdom that is shared through God's anointing on this book. "Before a man receives the wife God has for him, he must first have an established relationship with God, be mature, and walk in the purpose God gives him." 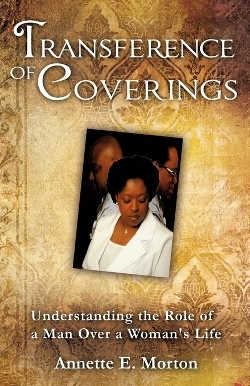 "Many men may not be able to properly cover a woman or children because there have been breaches in their own coverings. Someone may have abandoned them or misused their authority to abuse them in some kind of way." 1. What was your inspiration for writing, Transference of Coverings? 2. What is your greatest joy in sharing your writings with others? 3. What is your greatest challenge in sharing your writings? What mindset do you use to deal with it? 4. What was it about being a radio host that you enjoy the most? 5. What did you dislike about being a radio host? 6. What genre of lyrics do you write? 7. What advice or information would you share with those who aspire to be a published author, entrepreneur, or sense a call to specific ministry?